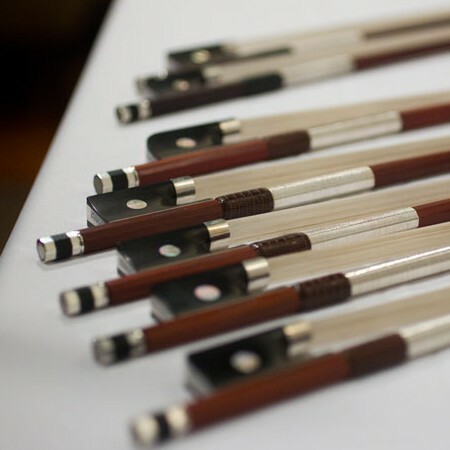 The selection of bows that are offered here are all brought into South Africa from China partly completed so that we can do the finishing. 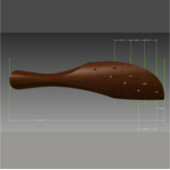 The reason for this is to ensure that the quality of the bend, which is critical, hair and lapping is good. In most cases they are either warped, the lapping falls off and the hair is not well secured which leads to a poor experience shortly after purchase. We hope to ensure that these issues are sorted as well as keeping our studio busy with something worthwhile. They are all made up of either new bows or refurbished bows from all over. 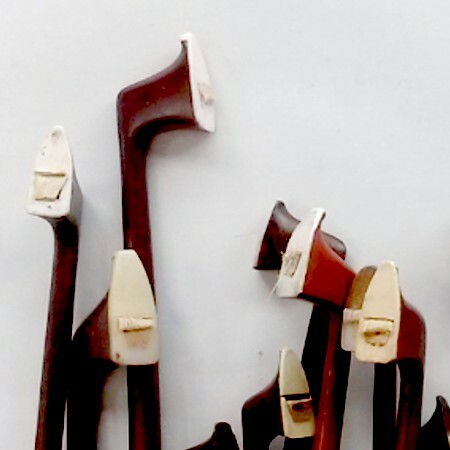 Once the latter mentioned work has been done to just about any bow that was not broken they can be made into worthwhile bows for any learning experience. 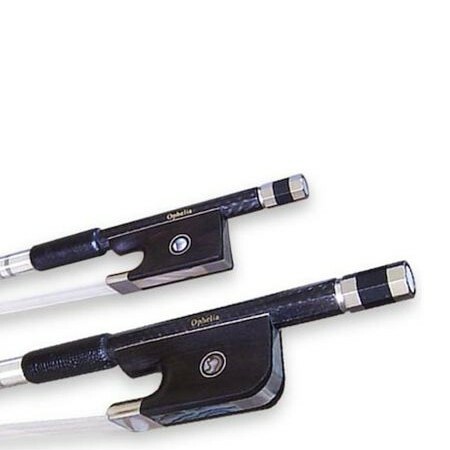 Bows that do not create bad habits based on having to compensate for poor responsiveness and or properties.